Another translation of a Cesare Pavese poem. Even without the knowledge that the poet killed himself only a few months after this was written, Verrà la morte e avrà i tuoi occhi surely stands out as one of the most chilling and concisely haunting works in all of literature. It was found amid Pavese’s papers following his death. The poet had taken his own life at the age of 41, after having been rejected by the American actress (and former mistress of Elia Kazan) Constance Dowling, who is presumed to have inspired this poem. The title literally translates as “Death Will Come and Will Have Your Eyes,” but I have modified it in a way that I find slightly more natural-sounding in English (although it loses something of the almost medieval fatalism of the original). The drawing is one I did at least ten years ago, when I was evidently going through a bit of a Guido Crepax phase. That you are life and you are nothingness. For each of us, death has a face. When death comes, it will have your eyes. Like listening to shut lips. We’ll go down into the vortex in silence. 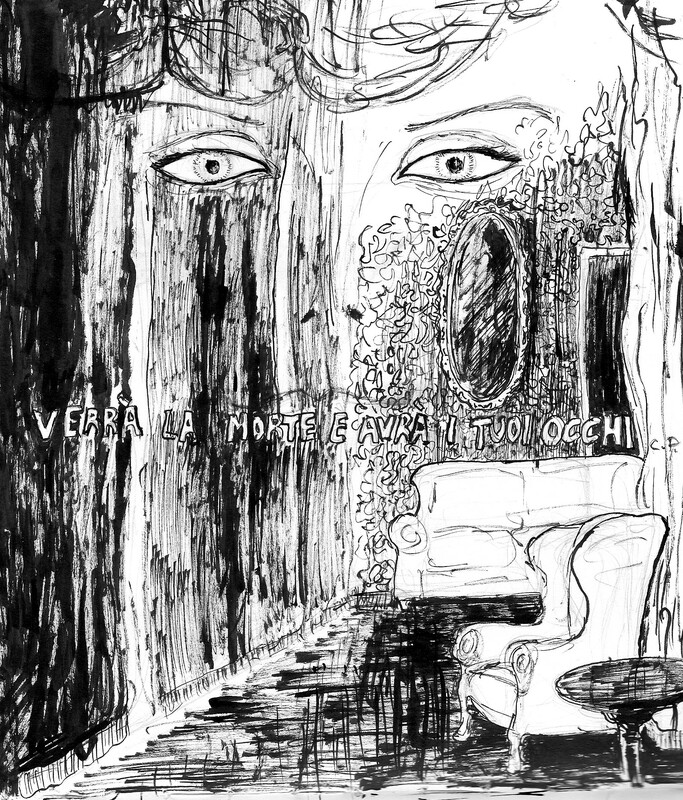 This entry was posted in illustration, juvenilia, Poetry translation and tagged Cesare Pavese, Constance Dowling, fumetto, Italian poetry, translation, Verrà la morte e avrà i tuoi occhi. Bookmark the permalink. 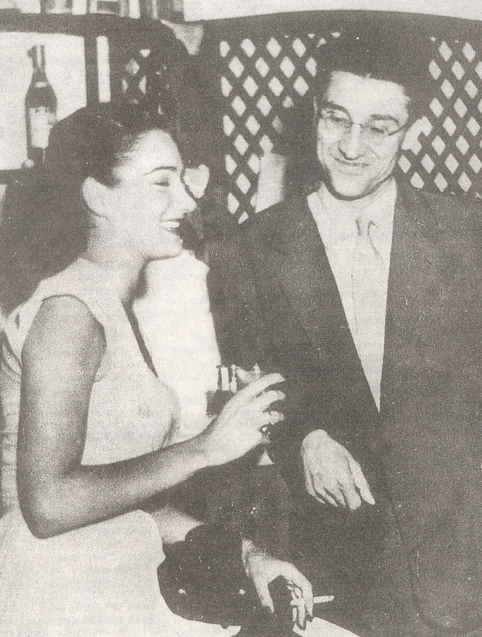 The photo is of Contance Dowling’s sister and Pavese.